Name the page - whatever this page will be, whether a link to your blog installed in a blog folder using cpanel's Softaculous installer, a link to your blog at blogger, and link to your sister site, a link to an installed gallery. 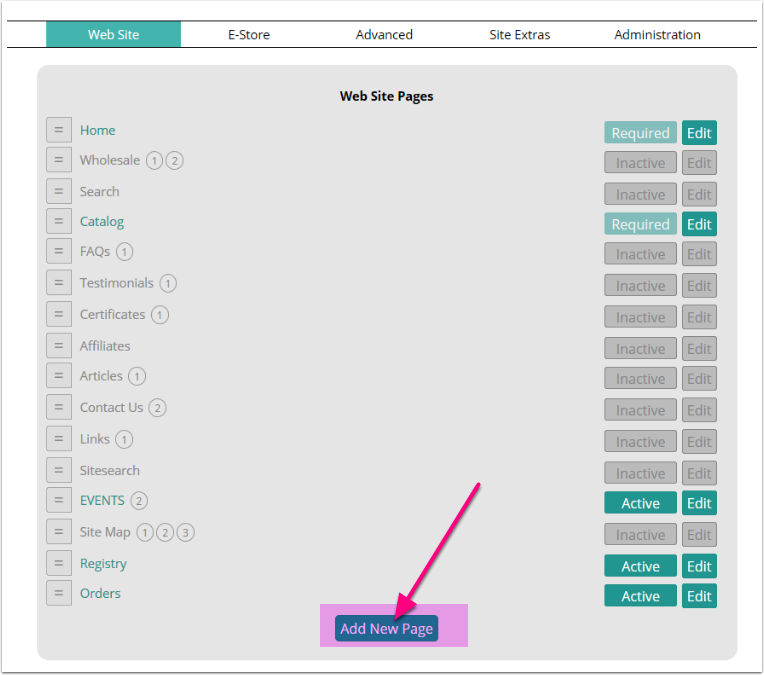 Any page *outside* of the pages you can create in the system's Pages, Products or Catagories areas. IMPORTANT - this page should NOT be any pages that are created by the MM system. Do NOT link to product, or category or another page. Doing this can cause a redirect loop. 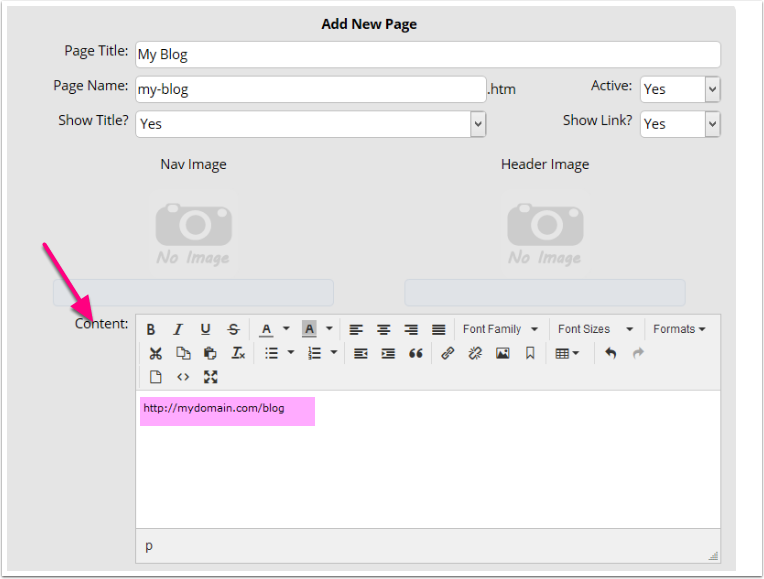 In the CONTENT editor add the full URL to your outside page, uncluding the http:// part. NOTHING else, do not carriage return. If your template uses Page Groups set this page in the appropriate group. Then click the ADD button at the bottom. That's it!